Dr Nirooban (Ruben) Sivarajah is an Associate Dentist and the newest addition to St Lucia Dental. He brings to our practice experience and expertise, both in the field of dentistry and facial injectables. After graduating and working in the UK, Dr Ruben headed down-under in search of the sun! Having worked four enjoyable years in private practice serving the Gladstone community (Central Queensland), he decided to move to Brisbane to return to city life and also pursue his passion for teaching. Dr Ruben Sivarajah graduated from the prestigious King’s College London (UK) in 2010, with a Bachelor in Dental Surgery. He further obtained his diploma of Membership of Faculty of Dental Surgery (MFDS) awarded by the Royal College Surgeons of Edinburgh in 2013. Dr Ruben is also a registered member of the Australian Academy of Dento-facial Aesthetics. Dr Ruben is strongly committed to continual professional development to ensure that he is able to provide the best and most up-to-date treatments for his patients. 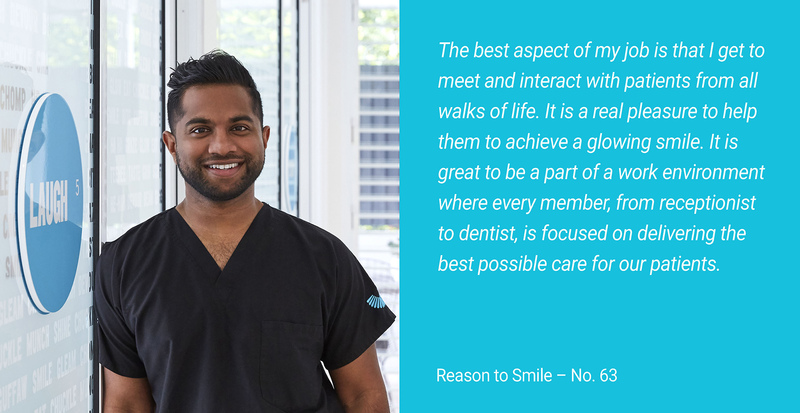 He has a passion for surgical dentistry and facial aesthetics.